8pm on Wednesday 5th December sees the launch of my new book Green Man Dreaming at the Black Book Cafe in Stroud, the hometown of my publisher Anthony Nanson of Awen Publication. It was he who came up with the idea of making this book while attending a talk I gave on Hermes at the Bath Royal Scientific and Literary Institute late last year, and I’m deeply grateful both for the prompt and his subsequent enthusiasm for the process of getting its various parts into good order. For me, the book’s publication is another high point in what has already been a good year. It feels deeply satisfying to have gathered together in this attractively designed single volume the best of the essays, talks and occasional pieces I’ve written over the past twenty years along with some new provocative writing. I feel particularly happy too that the book goes out into the world with endorsements from such distinguished figures as Andrew Miller, Adam Thorpe and Satish Kumar. Having now entered my 80th year (how did that happen? ), I also truly feel to have entered a whole new phase of my life after a number of years which were largely confined and darkened by the circumstances of my late wife’s illness and death. On the dedicatory page of the book appears this quotation from the Metaphysical Poet George Herbert: ‘Who would have thought my shrivelled heart could have recovered greenness?’ Its concentration of past melancholy, present renewal and recovered joy into a single question filled with wonder seemed to speak precisely to a condition for which the Green Man, ancient symbol of seasonal endings and beginnings is an apposite image – an image which is very much alive and kicking in my imagination half a lifetime after it first possessed me in the writing of The Chymical Wedding. Art is made, it seems, by nursing one’s obsessions. 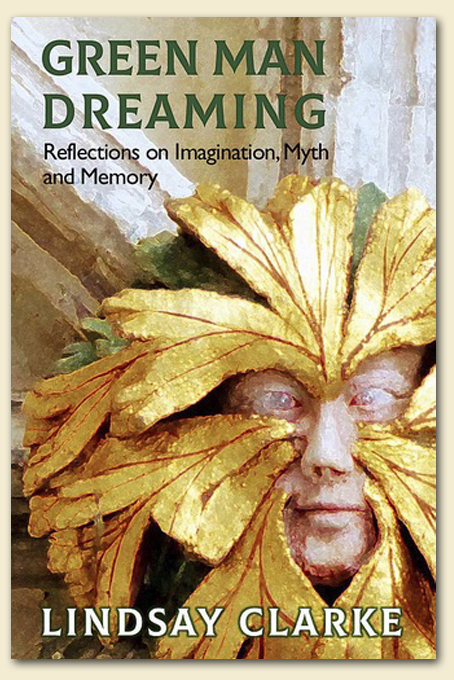 Find out more about Green Man Dreaming here.